Michigan is one of the best places to study in the U.S. due in part to the impressive number of public and private universities spread across the state. The Carnegie Foundation has even classified seven of The Great Lakes State’s universities as top research schools. As an aspiring game designer you have plenty of best game design colleges to choose from. 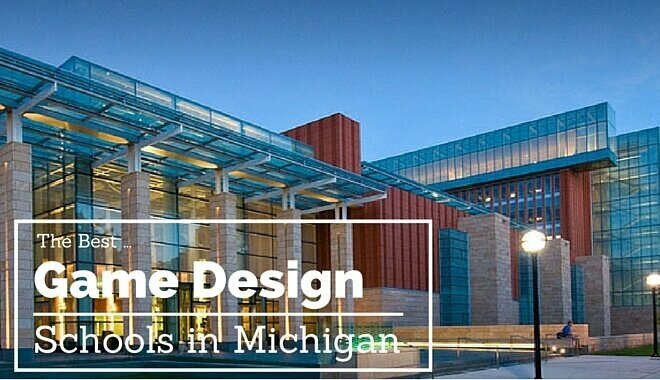 What are the top Michigan Game Design Schools? The Computer Science, B.S. program at Davenport University offers a Specialization in Gaming and Simulation made specifically for aspiring game developers like you. Earning a Computer Science major means you’ll learn the algorithmic and theoretical foundations of using a computer to develop games, simulations, and biometrics. The Gaming and Simulation specialization lets you take valuable courses like 3D Modeling, Mobile Application Development, Intro to Game Theory, and more. This program is for you if your goal is to earn an education that will make you a skilled and creative game programmer and/or designer. Of course, the downside to this school is that there isn’t an art-focused game design program. Undergraduates taking five courses (15 credit hours) per semester will pay $9,495 per semester and $18,990 for a full year. A Bachelor of Science in Multimedia Design and Development is available if you are an aspiring game developer who had have interest in DeVry University. This strong program puts the latest software applications in your hands as you learn how to manage, design, illustrate, and produce visual communications. Four specializations are offered: Graphic and Multimedia Design, Graphics and Multimedia Management, Web Design and Development, and Web Game Programming. The biggest strength of DeVry’s program is the ability to choose one of four specializations that each prepare you for a career in game development. But like Full Sail University, you’re looking at a huge tuition cost since the program is 124 credit hours. Since new students pay $609 per credit hour and the recommended program is 124 credit hours, you’ll end up paying $76,756 for your education. The College of Arts and Sciences at Eastern Michigan University offers future game designers an Entertainment Design and Technology is a multidisciplinary program. While the core curriculum focuses on theatre design and technology, including supplemental studies from arts and technology, there is also a Simulation, Animation and Gaming course. The course offers an overview of software and hardware used to create games and simulation. Ferris State University has a Bachelor of Applied Sciences in Digital Animation and Game Design. This program is a great choice if you want an education that trains students to use the latest tools and technology for the creation of digital and interactive content. 3D animation, game design, simulation– this program covers everything a game developer will expect their newest employee to know. You will also have the opportunity to focus your studies even further by selecting one of the concentrations offered, including 3D animation and Game Development. The strength of this program is that it prepares you for more than just a career in game design. Other opportunities the Digital Animation & Game Design program will train you for include film, television, product design, web development, and more. The only flaw we can think of is that no Master’s program is available to continue your studies. Complete this short form for a free brochure from the most popular school of 2017. Lansing Community College offers an A.A.A. in Computer Graphics Animation. This degree promises to sharpen your creative abilities while helping you master the tools a computer animator needs to succeed in the film and video game industries. Skills you can expect to learn and/or enhance with this degree include drawing, design, communication, presentation, problem-solving, and production. Notable courses you’ll be required to take include 3D Design,Vector Drawing, Storyboards & Animatics, and several Computer Graphics courses. The A.A.A. degree is great if you want a short but valuable degree that prepares you for the position of artist and/or animator at a game studio. Of course, the downside to this school is that it doesn’t offer any more substantial Bachelor’s degrees in game design. Undergraduate students pursuing a B.S. or B.A. in Media and Information at Michigan State University can continue their studies with a Minor in Game Design and Development (Media, Art, and Computer Science students), and/or a Master of Arts in Media and Information. Through the Game Minor courses, students will learn the technology, design fundamentals, and development process of digital games, as well as the history, social impacts, and business of games. Being a part of the M.A. program allows you to join a Game Design track covers games as more than just an entertainment medium. You’ll also learn how to design captivating games through a theoretical understanding of learning, emotion, cognition, and play. The Game Design track is unique in that it emphasizes games for learning and health as well as games that deal with social and policy change. The downside is that you have to go through a 4-year degree and then apply to a Masters of Arts to get involved in this Track. Masters of Arts in Media and Information with a Serious Game Design track. In International Academy of Design & Technology’s game design and production programs you can develop your knowledge of asset development and integration, gameplay, team collaboration, written and verbal communication, and business operations. Trained by instructors with real-world experience in the gaming industry, you’ll leave this program what an understanding of theory, process, and digital assets as well as a strong portfolio of projects. Having instructors who actually have experience making games is always a good thing. The only downside is that there isn’t a degree with programming-intensive courses to consider. Lawrence Technological University’s Bachelor of Fine Arts in Game Art will teach you everything you need to know about the process of designing art, rules, and content for traditional and interactive games. This program is valuable for providing you knowledge and training in narrative design and storytelling, art integration, and the ability to collaborate with programmers as an artist. You end up with an excellent education as well as a diverse portfolio. The B.F.A. is a great choice if you see yourself providing art for games in the future. The downside to this school is that a game design degree involving a focus on computer science isn’t offered. The Graphic Design program offered at Siena Heights University Graphic Design will not only treat you like an artist but also encourage you to integrate your own personal and cultural values into your visual communication designs. The purpose of the program is to provide you with a mastery of the creative process and the tools needed to craft an advanced portfolio that includes print, web and time-based media. Your digital art experience will include the use of graphic tablets, scanners, and large format inkjets as well as traditional studio practices like printmaking and photography. While the Graphic Design program is perfect for an aspiring game artist, there’s no opportunity at this school to learn the computer science or game design side of development. Total full-time tuition per year (including mandatory fees) is $23, 750 with an additional $9,710 if you need room and board (including a meal plan). Grand Valley State University’s various Studio Art degrees prepare you for an engaging career in the production and examination of the visual arts. With any of these degrees you can pursue an emphasis in jewelry and metalsmithing, painting, printmaking, sculpture, ceramics, graphic design, illustration, and visual studies. Graphic design is of course recommended for any aspiring game artists. You’ll also get to work in small classes that ensure you’ll receive the help and attention you need. A big upside to these degrees is that they allow you to pursue several career paths, including teacher, designer, leadership in arts organizations, gallery and museum work, and independent artist. The problem with these programs, however, is that none truly focus on the concepts and practices of designing games. University of Michigan offers a 5-day Game Design & Development camp where you’ll get a taste of what it takes to design and build games. The brief but informative program goes over several aspects of game creation, including level design, math and game balance, testing and debugging, and more. The classes are given by an independent game developer with experience designing game for a living. This course is obviously only good for getting a brief impression of the process of game design. It is obviously not a program, degree, or anything of the sort. The Cranbrook Academy of Art is unique in that gives 150 graduate students a chance to work together while being mentored by 10 Artists-in-Residence for two years in a studio-based setting. At this innovative school you’ll have the option to study in one of 10 departments: Architecture, Ceramics, Fiber, Painting, Metalsmithing,Photography, Print Media, Sculpture, 2D Design, and 3D Design. While we recommend 3D Design, any will give you good experience in working closely with other peoples, which is a necessary skill in the gaming industry. This school’s programs are great because they don’t follow a set curriculum or list of courses, which means more educational opportunities are available as they become available. The big drawback to this school is that there is no solid game design training. The Bachelor of Fine Arts in Entertainment Arts program will prepare you to join the next generation of designers and storytellers set to make the next groundbreaking video game experiences. While there are three concentrations available, you’ll definitely want to choose the Game Design. This track teaches you all there is to know about conceptualizing and producing 2D and 3D games. A big plus is that the education this program offers will prepare you for a job in not just game design but also in the creation of major motion pictures. A lack of a programming-intensive game design major is the only drawback to this school. Tuition for the 2015-2016 academic year is $1,252 per credit hour, or $18,780 per semester for full-time enrollment (12 to 18 credits). Kendall’s Digital Media program will teach you digital art and design skills that can be applied to a diverse spectrum of purposes, including: entertainment, information, advertising, retail, and education. This program goes over several fields that will be useful to you during your game design career. These include 2D animation, 3D Animation, Digital Imaging, Interactive Design, and Video and Motion Graphics. This program is ideal if you want to become a skilled and professional artist for games, but you’re out of luck if you wanted a degree that teaches the computer science portion of game development. The Game Your Class Institute offers you an understanding of game design as you learn how to apply gaming principles toward the creation of captivating games. While attending this program you will learn the core principles, practices, and concepts of game design. This includes learning how to evaluate material for games, developing rules, choosing play configurations, studying game dynamics, and more. While this short 3-day program is valuable to any aspiring game developer, you’ll want to look elsewhere if you want an an actual game design related degree. Approximate cost of tuition at Western Michigan University is $10,685 per semester, or $24,917 per year. The College of Communication and Fine Arts began offering a Minor in Media Design, Production, and Technology to address the needs of several evolving and flexible disciplines, including game development. This program will allow you to enhance your preparation for the ever-evolving fields of visual media, which includes publications design, graphic design, web design, and multimedia design. This is an interdisciplinary minor that combines existing programs found in Broadcast and Cinematic Arts, Art and Design, Journalism, and Computer Science. A Minor such as this is a great way to get additional training for your future game design career. Of course, a lack of a solid 4-year game design major is a big drawback. Approximate Central Michigan University tuition is $11,550 per semester or $23,670 per year. The Bachelor of Science in Game Software Development will prepare you for a career in making games for computers, consoles, mobile phones, the internet, and other devices. The program has been designed by people who actually work in the gaming industry and will immerse you in software engineering with a focus on game development and animation. This includes game modeling, programming and animating for games. A big advantage to this degree is the inclusion of a senior design project that has you create your own game, which you can add to your resume and portfolio. The Digital Entertainment and Game Design offered by ITT Technical Institute-Wyoming is a great way to learn how to use the latest software to make games. You can expect to graduate from this program with the knowledge and skills needed to pursue career opportunities in a variety of entry-level positions involving digital games and multimedia applications. Courses cover the foundation of digital game design, including animation, level design, gaming technology, and game design processes. 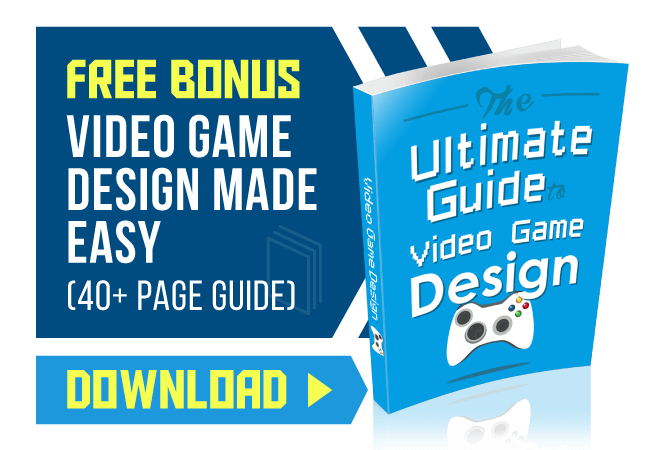 This is by far one of the most solid game design programs in the state as it not only puts the newest tools and software in your hands but also covers many aspects of game creation. Tuition and fees at ITT Technical Institute-Wyoming for the 2014-2015 academic year was $18,048. Part-time undergraduate wll pay $493 per credit hour. Kalamazoo Valley Community College offers an A.A.S. degree in Animation and Game Art that focuses entirely on using animation to tell captivating stories. During this program you will be introduced to the fundamentals of animation in preparation for countless career options in not just game development but entertainment, marketing, education, and commerce as well. You’ll even be encouraged to explore the convergence of 2D and 3D animation, including other forms of art and design. The strength of this program is in its variety. From Adobe Creative Suit and 2D Animation to Character Design and Storyboarding, there is a rich and diverse list of required classes designed to prepare you for a career in game design. The A.S.A. 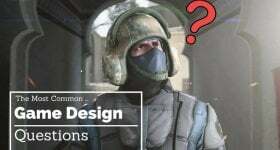 degree in Interactive Media and Gaming: Game Designer gives you the skills needed to do what a game designer does: develop the concept, story, and gameplay of interactive media. Skills you’ll learn and sharpen during this program include writing, graphic design, and programming. Doing so will leave you ready to apply for several job titles such as game designer, content designer, level designer, game tester, and more. Aside from the A.S.A. mentioned above, a Certificate in Computer Programming with an emphasis in Game Developer is also offered. It is perfect if you also want to learn the programming side of game creation. The total list price for in-state Michigan residents at Muskegon Community College is $13,369 for the 2014/2015 academic year. Out-of-state students without Michigan residency can expect a one year cost of $16,009. You can also expect to pay $4,194 per year for room and meal plans. 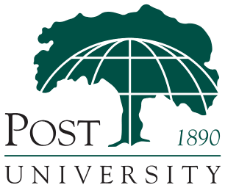 For those interested in game design, but would like flexible scheduling, we recommend Post University’s accelerated online program. This Accredited Game Design Certificate offers transferrable credits, career assistance, and financial options for those too busy for full-time classes. Michigan is one of the best places to study if you want a future in the gaming industry. The number of reputable schools with game design programs is impressive, as is the variety you’ll find in these programs. Whether you want to tackle the technical or artistic side of game creation, you have a good number of selections to choose from. At the same time, Michigan is pretty barren when it comes to number of game developers. While not a single notable game company resides in the state, the Chicago area is not too far away.